Experiencing extraordinary destinations from the comfort of a private home adds a level of exclusivity, flexibility and local insight that increasingly appeals to travellers. We’ve explored the length and breadth of Central & South America, sourcing local intel and scouting beautiful townhouses, chic beachfront villas, indulgent retreats and top-notch estancias – many off-grid and only available through PSA. Chosen for character, location, design and sophistication, we hold the keys to a range of luxurious hideaways, where we’ll connect you with local characters, rock-star chefs and expert guides with the PSA inside track. The Low-down: Drive a couple of hours from raucous Rio and slip into serenity at Villa Luz. A luxurious Mediterranean-style 5-bedroom nest; its white clay walls contrast dazzlingly with the lush scenery visible through floor-to-ceiling windows, inviting in a flood of natural light. Minimalistic and contemporary in design, the villa is befit with local stone and wood furnishings and adorned with colourful handcrafts. Don’t be fooled by its simplicity – you’ll be spoiled with flashy features like the 14-seat home theatre. The villa opens out to a garden and infinity pool with sensational views over Ferradura Bay and the Atlantic Ocean – the perfect sundowner-spot to watch golden skies melt into the ocean. Who Will Love it: A group of friends or a family with older children (elevated steps and an unfenced pool make this less suitable for young children). Anyone in search of a luxury barefoot escape with the pick of a different beach every day. A Little More Action: Lazing by the infinity pool in the shade of a palm, enjoying Brazilian BBQ’s (churrascarias) and sipping Caipirinha’s, you may be tempted to never leave the villa… but there’s plenty in store in Buzios. A 10-minute stroll takes you to the closest beach, but with dozens more to choose from nearby, we’d recommend hiring a boat to experience a variety of secluded bays where you can indulge in leisurely seafood lunches under a shady parasol. We’ll fix you up with a private speed-boat, crewed yacht or traditional schooner, and organise daily adventures from scuba diving to surfing, fishing, and water-sports; or back on land, hiking, horseback riding and golf. PSA Inside Track: Travel between July and November to watch Southern Right Whales breeding. We’ll provide the PSA Last Word on top things to see and do. Be sure to wander the cobble-stoned Rua das Pedras, home to charming restaurants, chic shopping and a spirited nightlife scene. The Low-down: A wooden chalet suspended on stilts appears to float atop the Caribbean Sea. 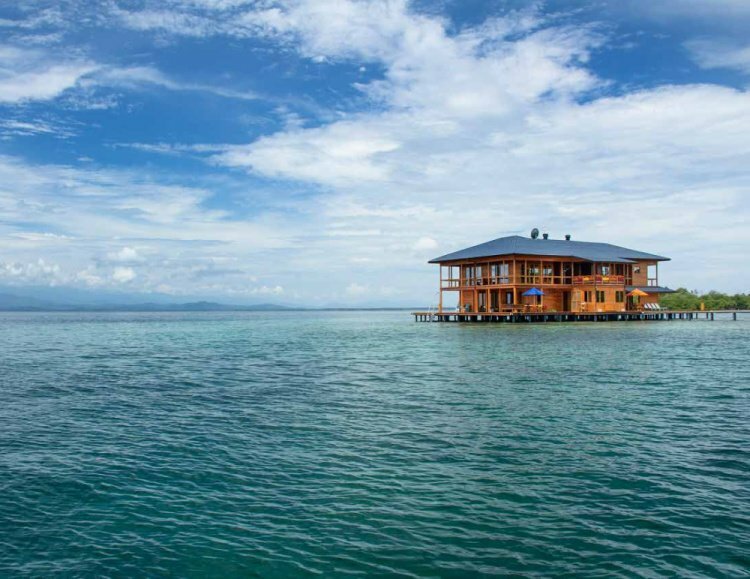 Off the north coast of Panama, a 130mt jetty takes you from a small island to a secluded seven-bedroom luxury villa, built of Panamanian teak with ample veranda space for dining and lounging in the sunshine. At one end guests congregate at the dining table under a parasol, sipping cocktails and listening to the gentle sound of lapping water encircling the house. At the other, a pile of bean bags entices with its promise of lazy afternoon snoozes. 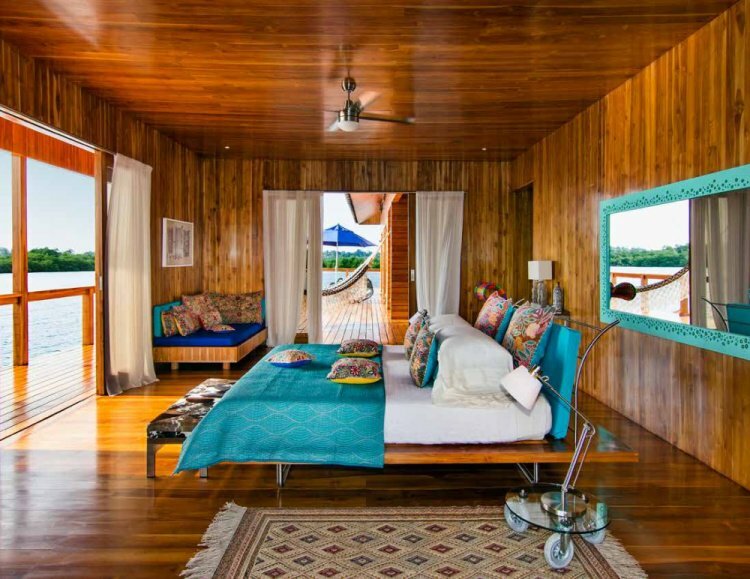 Rooms are rustic in style, fitted with luxurious features including king-size beds, silk blankets, A/C, en-suite bathrooms, organic amenities and handcrafted tropical decor, giving Sweet Bocas its distinct character. Along with movies, books and board-games, the villa is fitted with a state-of-the-art audio system. Who Will Love It: Sweet Bocas is perfect for a large family celebration offering seclusion, activities and time away from the crowds to enjoy each other’s company. N.B. The villa is hired out on exclusive-use only. A Little More Action: In a place of such solitude, it’s surprising how action-packed your stay can be. Along with privately instructed yoga and meditation on your sun-deck, enjoy snorkelling, free-diving, surfing, kayaking in an indigenous wooden canoe, fishing, horse riding on the beach and ATV rides in the jungle. Cooking and art classes and kids’ treasure hunts are also easily arranged. PSA Inside Track: We arrange visits to the indigenous Kuna Yala tribe for a cultural exchange. Turtles and Whales can be seen here at certain times of the year – ask our specialists for further details. The Low-down: Wild and rugged landscapes are even more enjoyable with a cosy hideaway to return to after a day out in the elements. Tipiliuke River House embodies remote lodge perfection, positioned to capture wonderful views over the Chimehuin River, whilst providing a luxurious cocoon for relaxing evenings spent around a roaring fire. Sleeping 8 guests, the experience is intimate, with each day tailored to your personal interests. You’ll receive a warm ‘old-friends’ welcome from your hosts, and nothing is too much trouble. Within the rustic, chalet-style lodge, each room is beautifully appointed, with the Master Suite featuring a traditional fireplace and spacious terrace. Who Will Love It: Active, outdoorsy types who enjoy sporting pursuits, or those simply in search of peace and solitude in the countryside – you’re bound to feel a sense of renewed vitality surrounded by these mountainous landscapes! 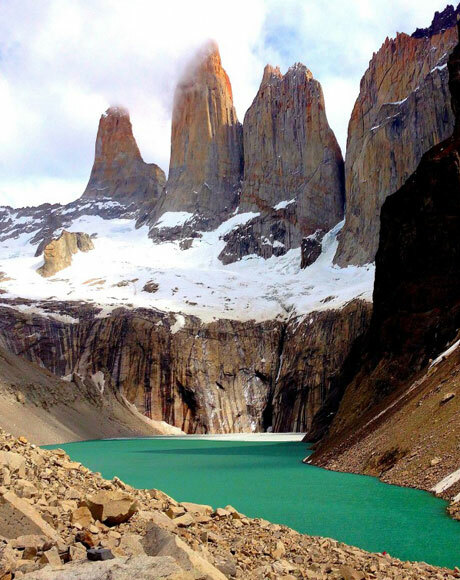 A Little More Action: Patagonia is all about outdoor pursuits and Tipiliuke’s 50,000-acre estancia offers this in abundance. 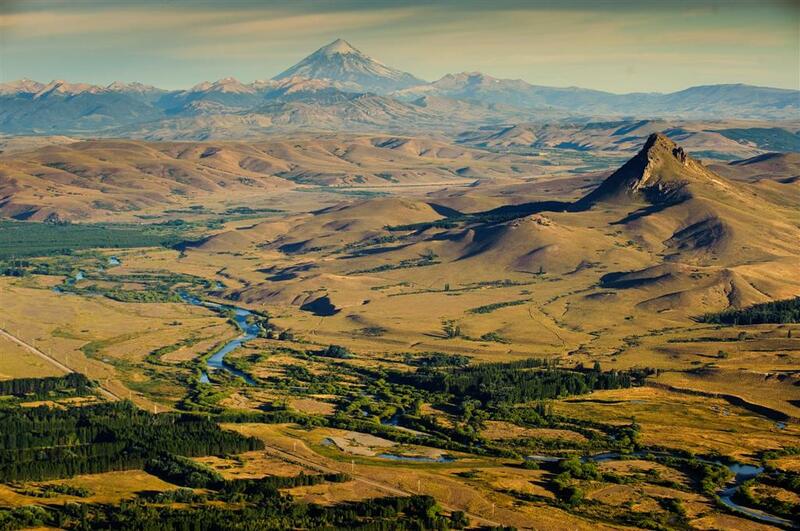 Whilst it’s famous for offering some of the finest and most picturesque fly-fishing in South America, there’s also horse riding through towering forests, hiking in the Andes and cattle herding with the gauchos, where you’ll be well-fuelled by delicious asado (barbecue) lunches of prime beef or fresh trout. If you’re interested in hunting, Tipiliuke is known to be the finest sporting estate in the country, teeming with wild boar and European stag. PSA Inside Track: Fishing gear is not included – call our experts for Patagonia packing guidelines. 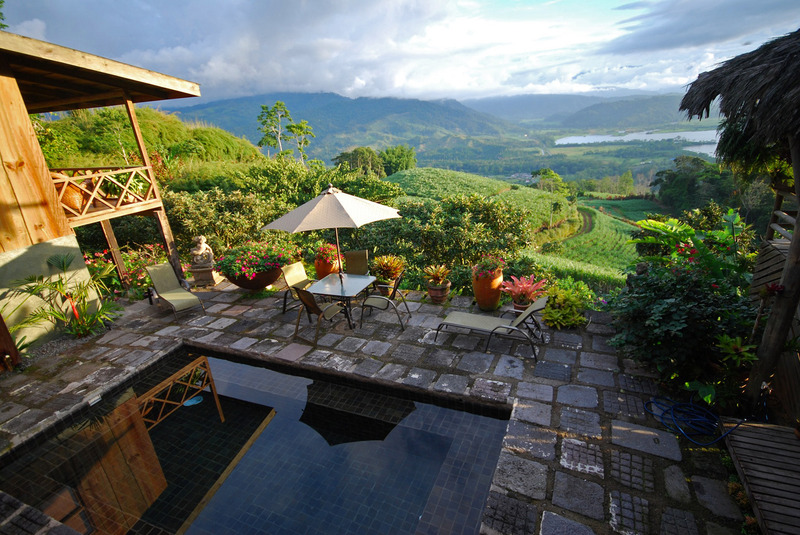 The Low-down: A private 5-bedroom house and sugarcane plantation in the foothills of the Turrialba volcano, this exclusive hacienda offers an authentic experience of the Costa Rican countryside, particularly appealing to families who can spend quality time together with plenty of space for the kids to run around. Tayutic’s traditional décor is met with splashes of tropical colour, and a spacious wood-decked veranda opens out to lush Central Valley scenery, where you can dine al-fresco looking out across the beautiful lake below. Beautifully maintained gardens include an orchid greenhouse, stone labyrinth and colonial chapel. Who Will Love It: If your wish list reads: relaxed atmosphere, rural setting, awesome views and plenty of adventure…. then pack your bags! A Little More Action: There’s an extensive menu of activities which tend to the adrenaline junkies; rappelling down Aquiares waterfall and world-class white water rafting are just some of the most thrilling. In close proximity to the National Park, guests get the chance to explore pre-Columbian ruins at Guayabo and learn about the local community’s cheese production methods. PSA Inside Track: Tayutic’s location gives it direct access to the Turrialba Volcano crater and on a clear day from the summit you’ll have a chance of sighting other volcanoes in the distance. We organise privately guided hikes into the national park – the views as you scale higher are magnificent. The Low-down: This traditional farmstay is one of our favourite little secrets and we know how to get you the very best out of your time there. The Hacienda Montezuma experience is all about getting into contact with nature and learning about the outback-life from your hosts who share their slice of rural paradise with guests. A stay is filled with adventure as you explore the farm and surroundings. 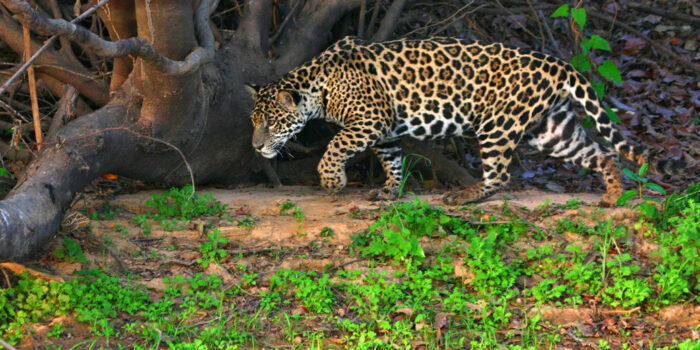 Teeming with wildlife, you’ll spot troops of monkeys and a brilliant variety of birds and butterflies, along with the rescued animals on the farm, such as pumas, jaguars and toucans. Who Will Love It: Families in particular will love the relaxed atmosphere and interactive farm experience. Nature lovers and those more at home on horseback than on foot will be in heaven here. A Little More Action: Hacienda Montezuma offers the best horse riding in Costa Rica – spend a peaceful morning freshwater fishing on a picturesque riverbank, then ride out with the cowboys to track jaguar and enjoy incredible volcano views, before indulging in a delicious BBQ back at the ranch. PSA Inside Track: After gallivanting with the cowboys on the farm, we’ll arrange for you to spend a few days of R&R at Hacienda Montezuma’s sister beach house on the coast at Santa Teresa. The Low-down: We work with a number of fantastic ocean-view private properties around Santa Teresa, Costa Rica’s most laid-back beach town. 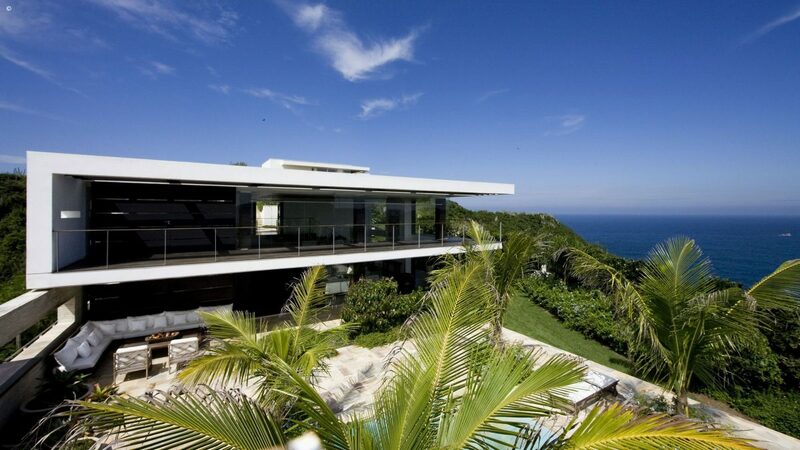 Casa Capitan is a show-stopping 8-bedroom beachfront house tucked into the trees on Santa Teresa’s peaceful shores. Often taken by celebs such as Miley Cyrus, Matt Damon and Tom Cruise, this is an escapists dream. The luxuries are in the details here, with no expense spared; elegant interiors feature high quality fabrics and modern conveniences. A vast swimming pool stretches towards the beach where you can laze in hammocks enjoying the warm Pacific breeze, take yoga classes on the beach, wander down to the shore for a refreshing dip and dine al-fresco on delicious freshly-caught fish. A little More Action: Santa Teresa is one of the top surfing spots in Costa Rica. Be pampered with a massage on the beach, learn to cook traditional cuisine or go fishing with the locals and cook what you catch. 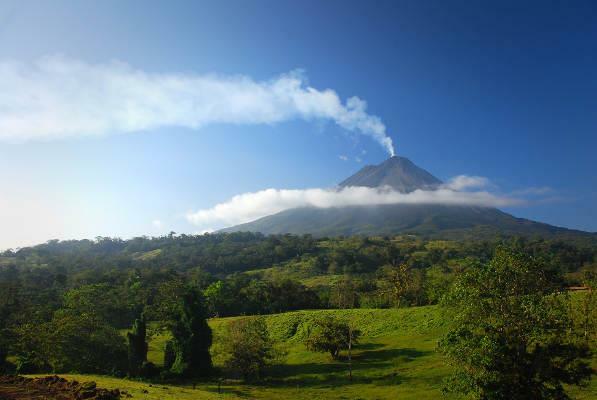 The region is an adventure playground where you can explore active volcanoes by helicopter, rappel and mountain bike in the forest and scuba dive to investigate a beautiful coral reef. Who Will Love It: Those who love a balance of beach bliss and adventure, whether on land, on water, or under the sea! 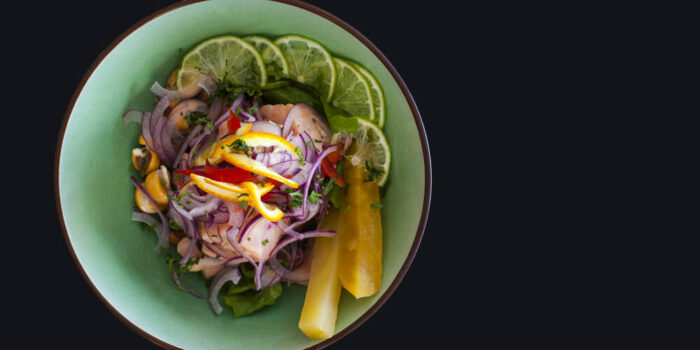 PSA Inside Track: We’ll bring in a private chef, yoga and surf instructors and naturalist guides to get you the best out of your time on the Costa Rican coast. The Low-down: 9-Bedroom private house Estancia Colome has opened its doors after a stunning refurbishment. 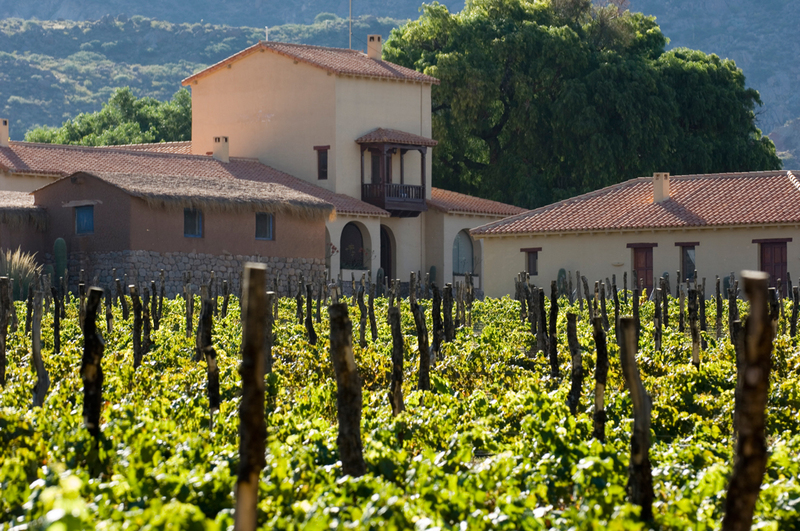 In Salta’s Calchaqui Valley, the house lies in the grounds of 19th Century Bodega Colome, one of the oldest wineries in Argentina and home to some of the highest altitude vineyards in the world. 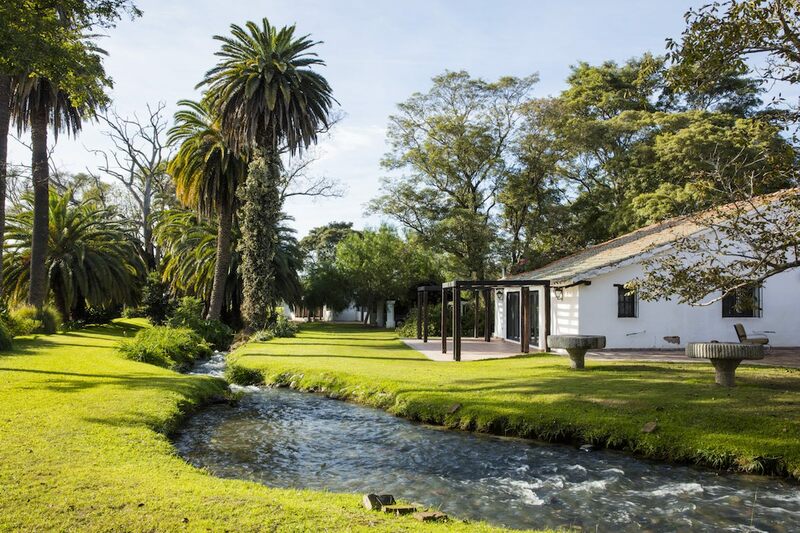 Stay at the historic colonial house to indulge in internationally acclaimed wines and fine-dining (all dishes are crafted from the estate farm produce). A highlight of the area is the brilliant James Turrell museum, an art museum dedicated to light installations. Who Will Love It: Oenophiles and anyone with a taste for adventure. A Little More Action: Along with wine-tasting, Colome offers hiking, swimming, tennis and yoga. Horse-ride or bike through the vineyards to take in spectacular scenery, stopping off for a delicious picnic on the way. Salta is perfect road-trip territory with wild landscapes to explore by 4×4 and some charming boutique wineries and Andean villages to discover along the way. PSA Inside Track: We’ll arrange a private wine-tasting and food pairing for you with a sommelier to learn about high-altitude wines and sample delicious local cuisine. 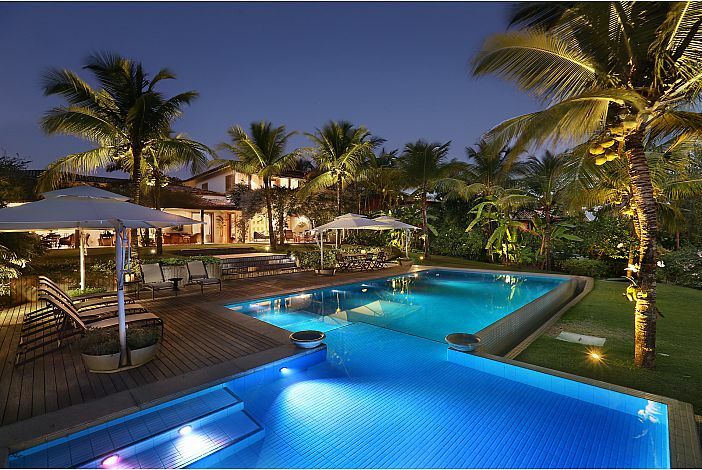 The Low-down: Designed by star architect Sig Bergamin, Villa 31 is an impeccably decorated luxury villa, in keeping with its picture-perfect setting in fishing village Trancoso, Brazil’s most stylish beach destination. The 6-bedroom villa is painted a pristine white, with beautiful wooden furniture giving each individually decorated room a simple, rustic style. Spacious living areas open into tropical gardens adding a sense of harmony with the villa’s surrounding nature, and with tennis courts, a swimming pool, Jacuzzi and wine cellar at your fingertips, a stay here is complete with all the luxury offerings you could wish for on holiday. Shaded verandas surrounding the house are kitted out with comfy sofas, lending themselves perfectly to peaceful siestas, and in the evenings, the gardens and large swimming pool are lit up, offering an atmospheric setting for dinner out in the warm coastal breeze. Who Will Love It: Big groups of family or friends, or keen golfers. Located in a gated community, this is a lovely and safe option for families. With a year-round tropical climate, it’s also great for those who are restricted on when they can travel. 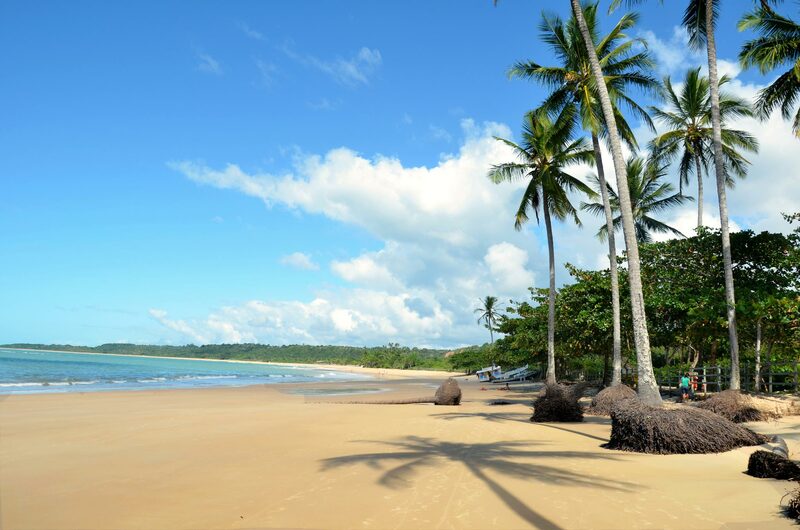 A Little More Action: You’re surrounded by some of Brazil’s loveliest beaches with plenty of watersports to try. You’re also close to one of the best golf courses in the country. PSA Inside Track: All of our spectacular beach houses in Trancoso are fully serviced and staffed, with food stocked in advance of your stay. A 24×7 Concierge is always on hand to look after your every need and we’ll connect you with expert guides to show you Trancoso from a local perspective. The Low-down: Thomas Gibson, famed as one of London’s top art dealers, has created an work of art in Neptuno, an 18-acre rock-star hideaway on the Laguna del Sauce. The seven-suite villa is one of the finest in Uruguay, with an extraordinary design that maximises on views through panoramic windows and catches the sunlight bouncing off the lake. Ultra-modern; a bright-white cubic villa is surrounded by landscaped gardens, where a ‘statement staircase’ leads down from the villa to a rectangular infinity-pool lined with a row of inviting loungers and a pergola for shade. Clean cut lines, block colours and perhaps more window than wall – Neptuno is a creative’s delight and we can think of nowhere more apt to clear the head and start writing your next novel! Yet the impression of the house on first-sight (more work-of-art than a home from home), is turned on its head once you enter into the warm and welcoming space. With all features cleverly selected for comfort and simplicity, relaxation will set in as soon as you’re through the door. There’s no question this villa has a character all of its own. Who Will Love It: Design-lovers who want to be close to gorgeous beaches and the buzz of trendy Punta del Este (often likened to Saint Tropez). An ultra-fashionable crowd flock to this stretch of coastline for Christmas and New Year. Peaceful and private, it is also a perfect family holiday villa. A Little More Action: Days here are about late rises, lingering lunches, afternoon bronzing and all-night parties. Set 20 minutes’ drive from Punta del Este, a whole host of funky bars and restaurants are right at your doorstep. 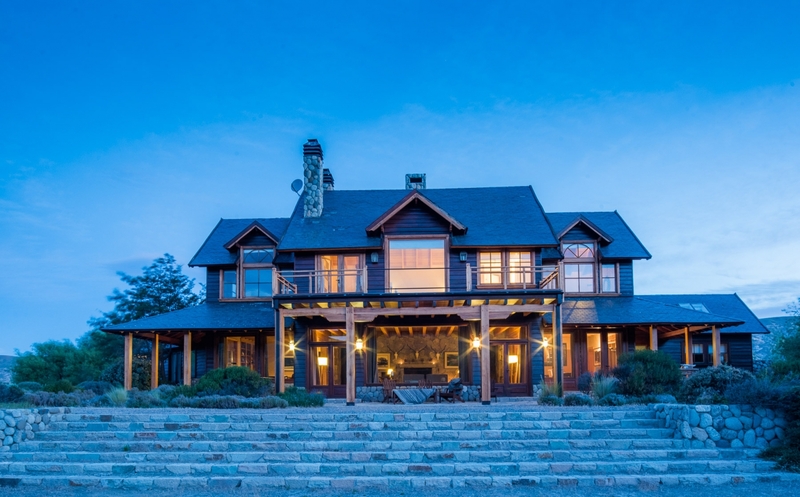 Take a stroll in the woods surrounding the property, kayak on the lake, horse ride along the beach, or enjoy a spot of golf on an 18-hole course 15 minutes away. PSA Inside Track: The region is home to some of Uruguay’s finest wineries. We would recommend a wine tasting lunch at nearby Bodega Garzon owned by renowned Argentine chef Francis Mallmann. The Low-down: An authentic farm house in the remote, little-explored region of Tucuman in north-west Argentina, with a sensational view towards a chain of snow-capped mountain peaks. The house, dating back to 1640, is stooped in history and reflects the traditions of life in the countryside ‘el campo’. It has been lovingly restored to offer modern-day comfort whilst conserving its beautiful original features and historical artefacts. Who Will Love It: Those who dare to escape the tourist trail in search of an undiscovered gem. If you love being outdoors and surrounded by horses, Estancia Zarate won’t disappoint. 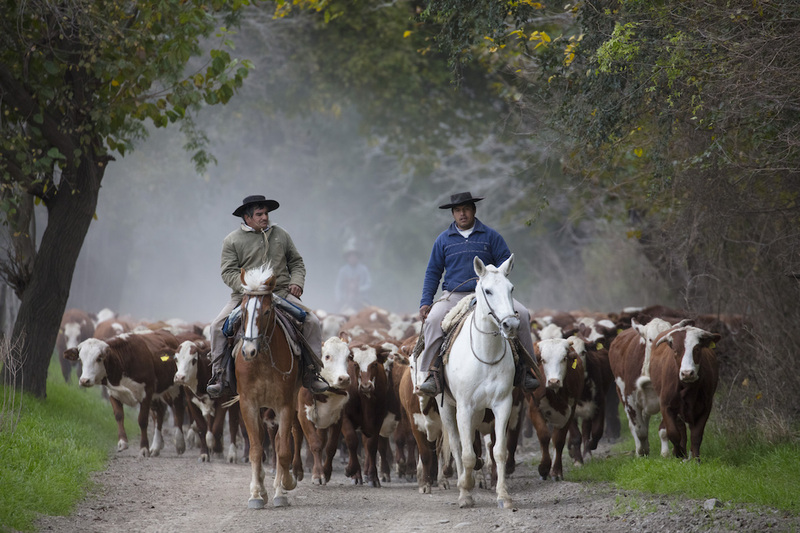 A Little More Action: Guests can live the gaucho dream, helping out on the farm, herding cattle on horseback and trekking into the hills on offbeat explorations. You can enjoy polo lessons on the top polo ponies bred at the farm. 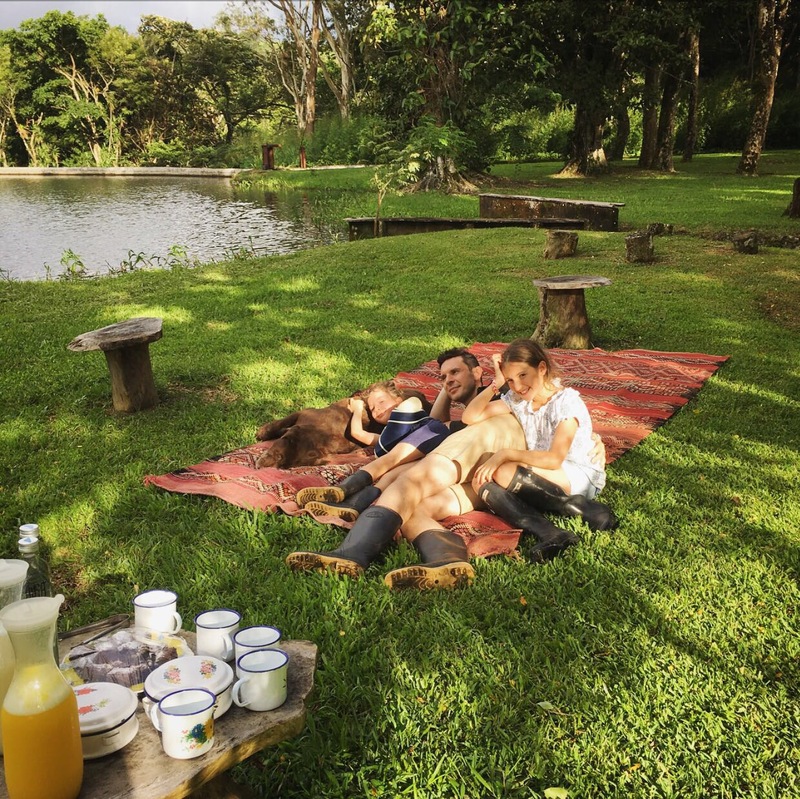 Zarate’s lovely team and beautiful natural surroundings won’t fail to coax you into disconnecting from life at home and completely relaxing into your new gaucho life. PSA Inside Track: Combine your stay with a visit to Cafayate’s high-altitude vineyards; exploring beautiful scenery, wine-tasting and visiting small Andean villages dotted across the foothills of the Andes.